Visitors to DJ! over the past two or so weeks may have been bored to tears by noticed my rather compulsive compilations of apparently religious outfits that appear on the Canada Summer Jobs list of successful employers, i.e. groups that signed the evil abortion clause. My point, of course, was to demonstrate that many, many religious organizations understood perfectly well what the government was trying to accomplish with the attestation despite the shrieking and spin from Conservatives, media, and the Church. The point was made by Michael Coren who had access to "official documents." Official documents show that of the 2,728 faith-based organizations that applied for summer jobs funding this year, 58 per cent were willing to sign the attestation. Of the 115 Anglican groups that applied, only 10 refused so sign, and only two of the 199 United Church-affiliated organizations refused. Even more startling, none of the 89 Jewish or 130 Muslim groups withheld their support. Which leaves evangelical groups and, of course, Roman Catholics. Opposition to abortion has become an absolute of conservative Catholic opinion even though, it should be noted, Canadian Catholics in general do not share this view and progressive Catholics have a far more nuanced approach. Also, there is far more ambiguity in the Catholic response to the program than we have been led to believe. Contrary to what many critics of the policy have claimed, of the 365 Catholic organizations applying for funding, the overwhelming majority signed on, with less than a third (32 per cent) refusing to do so. Indeed, the Catholic website, LieShite did their own compilation and came up with the number "157 identifiably Catholic groups" who checked the box. But despite this, at least 157 identifiably Catholic groups have done just that, according to the database of Canada Summer Job grant recipients for 2018, available online for some weeks. Of these, the majority — 107, or 68 percent — are parishes, but charities, school boards, religious orders, hospitals, a day care, and care homes are also listed. LifeShite links to a PDF documenting who's keeping the dough, who's returning it, and who didn't bother to respond to LieShite's demand for explanations. Of course that was me here. The typo was gratuitous. The same day LieShite broke the news that 157 Catholic groups wanted the dough more than the martyrgasm, it also published a story about people "knowingly" ticking the box. So, it looks like the evil-doers are getting spanked in public. I wonder if we'll ever know if they do actually return the money. I've checked out the whole country now and I must say that we have an impressive array of do-gooders and entrepreneurs out there. As Coren says, not only Catholics, but other Christians, Jews, and Muslims will hire students with government help this summer. In my perusal, I found Buddhists in Thornhill, atheists (!) in Lanark, and Knights of Columbus (!!!) in Miramichi and Sydney-Victoria. Coren doesn't mention a large number of Sikh groups, mostly in BC and Ontario. Remember, this all started with Abortion Rights Coalition of Canada volunteers examining Canada Revenue charitable tax filings then matching the "government" funding up with Canada Summer Jobs. Here are the info sheets. Funny, but absolutely nobody has picked up on the fact that ARCC also identified dozens of groups who did not properly report government funding. There is also a searchable PDF of which anti-choice groups got CSJ money, in which ridings, from which MPs and parties. Finally, I'm happy to report that only one (maybe two) identified anti-choice group -- a fake clinic in Kitchener -- got approved this year. (The maybe second one is a maternity home partnered with a fake clinic in Calgary. A friend had noted anti-LGBTQ groups that got CSJ money previously. They were happy to report that only three such groups succeeded this year, including Echo Lake Bible Camp in Saskatchewan. So. The attestation is working as intended. We are pleased. ADDED: Lists of religious groups getting Canada Summer Jobs money by province. And for the grande finale, Quebec. My French stinks, but I had some help in recognizing key words (thank you, deBeauxOs). Nonetheless the website search was critical. I almost included an orchard. The usual reminders on process: I was going by name only, quite literally. All (known) religious groups got tagged. Others that sounded "churchy" got checked. Caps and quotation marks from original document. Where "no website" is noted I could not find a website for that particular group. (Obviously there is a website for "United Church of Canada" but sometimes I couldn't find one specific to that riding.) Where a link is not provided, it is elsewhere in this blogpost. I haven't done the hyperlink thing, because there are too many. Sorry, you'll have to copy and paste. Asterisks indicate a Catholic organization. And hoo-boy are there a lot of them! "Soeurs de la Providence, Prov. Émilie-Gamelin"
MP Blaney, Steven (Hon. ), Con. Hebrew Day School Montreal Inc.
MP Di Iorio, Nicola, Lib. A couple of days ago Michael Coren published an article with the numbers on religious applicants to the Canada Summer Jobs program. There were a lot and more than half were accepted. So that kinda puts the lie on media, Church, and Conservative screeching about anti-religion/anti-Christian bias. Also, there is far more ambiguity in the Catholic response to the program than we have been led to believe. Contrary to what many critics of the policy have claimed, of the 365 Catholic organizations applying for funding, the overwhelming majority signed on, with less than a third (32 per cent) refusing to do so. When we break down those figures, a clear pattern emerges. In all of Quebec, only nine Catholic groups refused to sign and a massive 108 agreed to the attestation. In Ontario, 63 groups refused to sign, with 32 agreeing to do so, and the vast majority of dissenters, 52, in Toronto. That's a lot a Catholics. Coren doesn't mention New Brunswick but there are many Catholic organizations here too. The Knights of Columbus again! So, here are the New Brunswick religious groups who applied for and will get summer job grants. Asterisks indicate a Catholic organization. Most of this was compiled by a diligent volunteer who wishes to remain anonymous. And of course thanks to the Data Monster again. All errors are mine. If I've asterisked as Catholic a group that is not, let me know in the comments and I'll fix it. Here are the religious groups in Nova Scotia that did not succumb to the spin and bad-faith arguments on the Canada Summer Jobs attestation or "abortion clause." I point out again that the attestation could as well be called the "sexuality/gender/gender identification clause" but why bother? The media and the "faith community" (meaning mostly the Catholic Church) chose to see it purely as ABORTION!!!!! 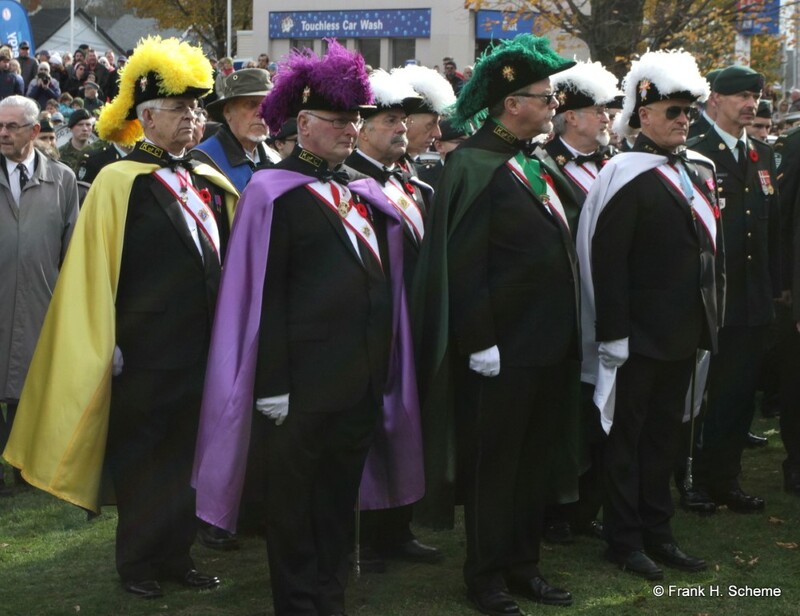 In fact, there are more Catholic groups in this lot that didn't get the memo, including the Knights of Columbus. Mega thanks again to the Data Monster. And in a tiny bit of good news, some media outlets have acknowledged -- albeit at the end of otherwise shrieeeeeky articles -- that indeed religious groups have applied and been funded. The Employment and Social Development Canada website shows hundreds of churches among the employers who were approved for funding this year, along with faith-based camps. Reminders: I was going by name only, quite literally. All (known) religious groups got tagged. Others that sounded "churchy" got checked. Caps and quotation marks from original document. Where "no website" is noted I could not find a website for that particular group. (Obviously there is a website for "United Church of Canada" but sometimes I couldn't find one specific to that riding.) Where a link is not provided, it is elsewhere in this blogpost. I haven't done the hyperlink thing, because there are too many. Sorry, you'll have to copy and paste. Asterisks indicate a Catholic organization, that may be spanked into returning the dough. Huge thanks again to the Data Monster. We remember Scott Simms, don't we? He voted with the Conservatives to change the attestation. Feel free to copy, circulation, republish, do further research. Credit would be nice but not necessary. Plain text also available. DM me on Twitter with an email address. Chugging along here. Manitoba here. Not as many different groups as BC or Ontario, but still diverse. Also, still no identified anti-choice groups have slipped by. The Canada Summer Jobs attestation seems to be working as intended. Reminders: I was going by name only, quite literally. All (known) religious groups got tagged. Others that sounded "churchy" got checked. Caps and quotation marks from original document. Where "no website" is noted I could not find a website for that particular group. (Obviously there is a website for "United Church of Canada" but sometimes I couldn't find one specific to that riding.) Where a link is not provided, it is elsewhere in this blogpost. Asterisks indicate a Catholic organization. I haven't done the hyperlink thing, because there are too many. Sorry, you'll have to copy and paste. Huge thanks to the Data Monster who ran the list through a magical device that did most of the work. Youth For Christ (Winnipeg) Inc.
British Columbia Religious Groups Successful in Canada Summer Jobs Applications. Many more religious groups from British Columbia, again of all sorts. Reminders: I was going by name only. All (known) religious groups got tagged. Others that sounded "churchy" got checked. Caps and quotation marks from original document. Where "no website" is noted I could not find a website for that particular group. (Obviously there is a website for "United Church of Canada" but sometimes I couldn't find one specific to that riding.) Where a link is not provided, it is elsewhere in this blogpost. Asterisks indicate a Catholic organization. I haven't done the hyperlink thing, because there are too many. Sorry, you'll have to copy and paste. International Christian Response http://christianresponse.ca/ "Helping the Persecuted Church"
Note that Alice Wong said she would not sign off on CSJ applicants. These must be the ones chosen by the bureaucracy. The Shia Muslim Community Of British Columbia website not working? Here is the second part listing the religious organizations in Ontario that were successful in their applications to the Canada Summer Jobs program, despite the totalitarian requirement to respect the human rights of other Canadians. Reminders: I was going by name only. All (known) religious groups got tagged. Others that sounded "churchy" got checked. Caps and quotation marks from original document. Where "no website" is noted I could not find a website for that particular group. (Obviously there is a website for "United Church of Canada" but sometimes I couldn't find one specific to that riding.) Where a link is not provided, it is elsewhere in this blogpost. Asterisks indicate a Catholic organization. I haven't done the hyperlink thing, because there are too many. Sorry, you'll have to copy and paste. And another "sorry": it is loooooong. MPs' names are included because they have final sign-off -- if they want it -- on who gets funded. "Governing Council of Salvation Army, Canada"
Vallavambiga Sri Taiyalnayaki Sametha Vaithiyanatha Swamy Koil Inc.
Ahmadiyya Muslim Jama'at Canada Inc.
La Storta Jesuits no website JESUITS! "Churchwardens, Church of the Holy Trinity"
Feel free to do what you want with this. Like maybe stick it in the face of a whining, grandstanding Christian squealing about "totalitarianism."